Colijn de Coter was born in Belgium. 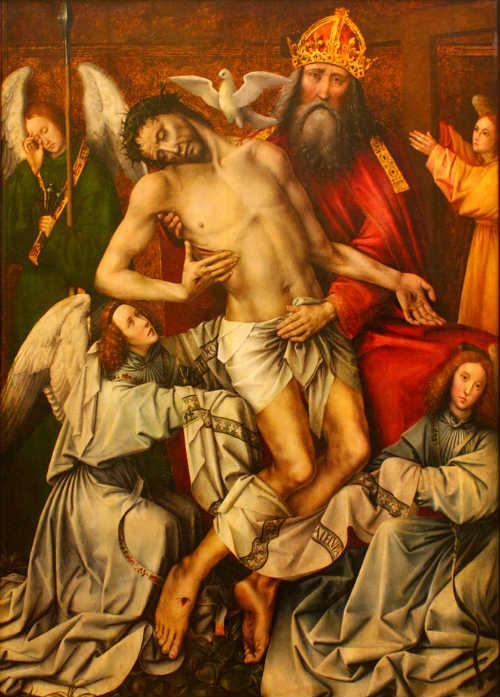 His altarpieces became acclaimed for their delicate, intense beauty and distinctive technical precision. The artist gained regional fame for his deeply thoughtful religious paintings. Colijn de Coter became one of the most important Northern Renaissance painters working in Antwerp in the 16th Century. Author James Edward Parrott descibes the city, "Antwerp, with its deep and convenient river, stretched its arm to the ocean, and caught the golden prize as it fell from its sister cities' grasp. No city except Paris surpassed it in population; none approached it in commercial splendour."